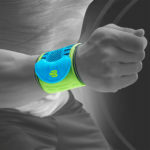 Basketball with more power, performance & agility: Improve your performance like the NBA stars! More endurance, bounce & power: Which points count for you in basketball? 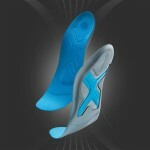 Relieve knee joints and increase your court time. Your knees rack up points for you during basketball with every movement: They provide support during explosive drives, absorb high jumps and change direction quickly. 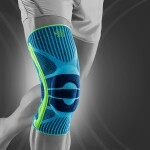 This puts extreme strain on the knee joints. 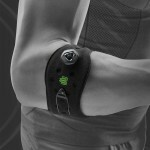 That’s why the strong protection afforded by a sports brace is particularly important. That’s the only way to achieve your best performance on the court. The Sports Knee Support controls your movements and safely guides your knee joints by means of slight compression. You’ll feel the relief effect – particularly during longer practice sessions. 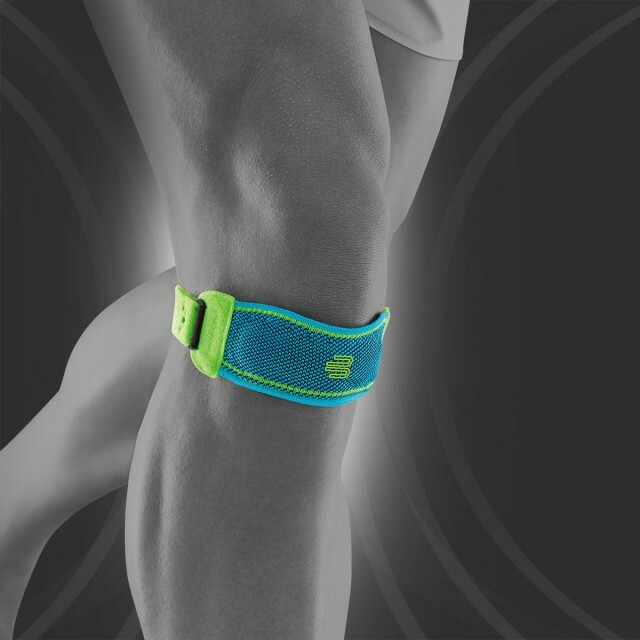 You can train longer discomfort-free thanks to low-level pressure on your kneecap. 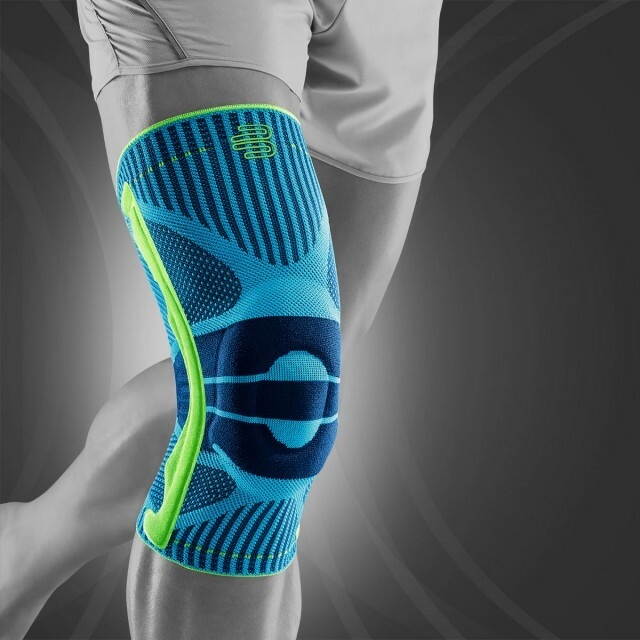 At the same time, this durable knee brace massages your ligaments, tendons, muscles and connective tissue with every movement you make by way of incorporated pads. This in turn positively affects sensorimotor function. This intense depth perception sends you noticeable feedback, which in turn counteracts stress and reduces the risk of injury. In addition, pain related to overloading abates faster. 2. Faster regeneration: Get more out of yourself and intensify your training! Giving your all and pushing yourself to the limit – that’s your approach to fitness training. You pit yourself against the clock, yourself or another team and you only want one thing: to constantly improve yourself and your performance. To achieve this, your muscular system needs to be in top shape. An intensive whole-body workout exercises several muscle groups at the same time and in order for this to be effective, your muscles need time to recover. This is completely independent of your personal fitness level and whether you are training for strength endurance, hypertrophy, maximum strength or general stamina. Without phases of muscle regeneration, cramping and soreness can occur more often. 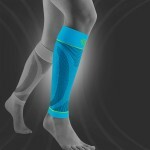 You can prevent this by wearing compression products during and after training. They begin to activate your muscles on the arm, thigh and lower leg during your workout. You’ll feel a pleasant but firm pressure that stimulates circulation and minimises muscle vibration. Your muscles are less stressed as a result and regenerate much faster. 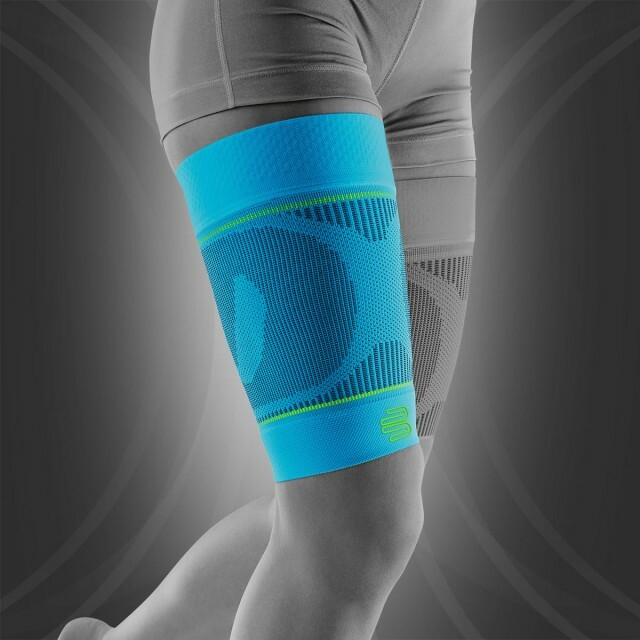 After training, Bauerfeind Sports Compression Line compression products improve blood flow back to the heart. This in turn reduces swelling in the arms and legs and at the same time facilitates oxygen transport to stressed muscles. This speeds up muscle recovery and prepares you to take your body to the next fitness level faster. Don’t let sore muscles and cramps hold you back! Activate muscles and play with long-lasting power. Higher, farther, faster – it’s not just NBA stars like Dirk Nowitzki who need maximum power on court for explosive moves. You also want to achieve your best performance. Jumping throws, dribbling and sprints in basketball require the perfect interaction of your musculoskeletal system. That way your arms and legs always deliver the best performance- and for the long run. 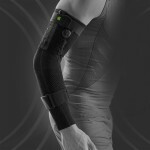 Bauerfeind sports products improve your muscle work with noticeable compression. 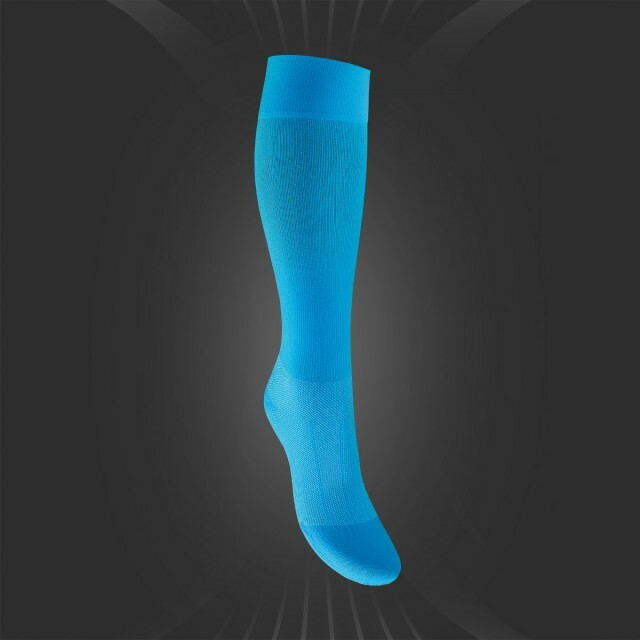 Highly elastic knit releases targeted pressure that stimulates circulation. 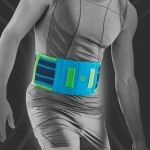 This in turn improves oxygen transport to stressed muscles and arm and leg joints. 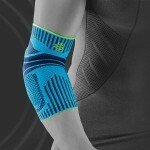 You’ll feel immediate results on the basketball court. You’re efficient longer and gain more power in your arm and leg muscles. 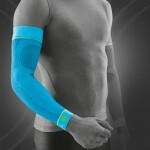 In addition, compression dampens unpleasant muscle vibrations. This increases your stamina and performance. On top of that, your muscles will warm up faster due to increased circulation, which leaves them better protected from injury for longer in any gaming situation. Get your muscles ready – for your explosive move to the top of basketball Olympus! 4. Precise moves: Increase your throw rate and pass with more precision! Improved oxygenation in muscles for accurate throws. In basketball, you score with precision. To achieve perfect timing at the right moment, stamina and power count for the entire length of the game. You have to remain fit and focused until the end if you want the last steal to be yours and in order to score with precision. Plays, dribbling and rapid changes in direction require a lot of your body. Your musculoskeletal system in the arms, legs and ankles is exposed to high loads. Precise throws are almost impossible in cases of fatigue. Arms feel limp and cramps and sore muscles follow. Your muscles and fascia must be supplied with sufficient oxygen to avoid this and to increase your throw rate. 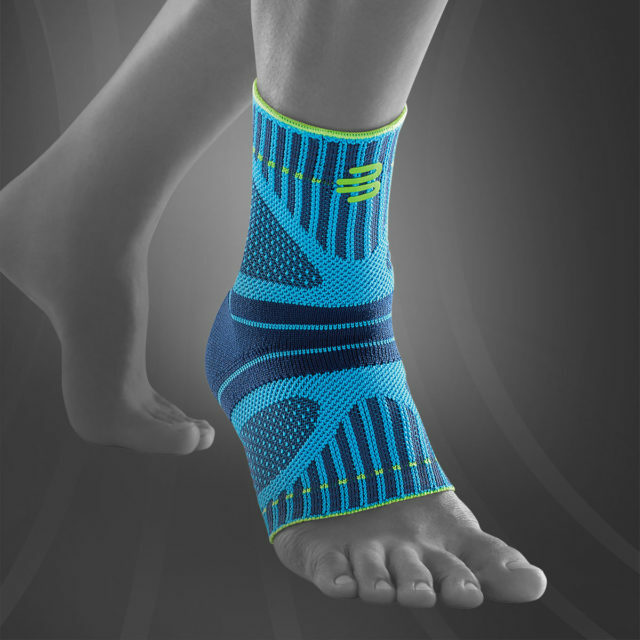 Bauerfeind Compression Line sports products support this. 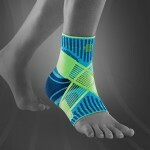 They increase circulation with targeted pressure and thus transport more oxygen to stressed muscles. Muscles are better supplied, tire slower and regenerate faster. You play longer with powerful precision. 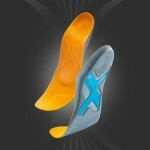 In addition, Insoles Ball & Racket sports insoles ensure a stable foot and natural rolling movements. This ensures powerful jumps and a secure standing position all the way to the last minute of the game. You gain improved stability with fast stops and turns, which increases your precision during fast steals. 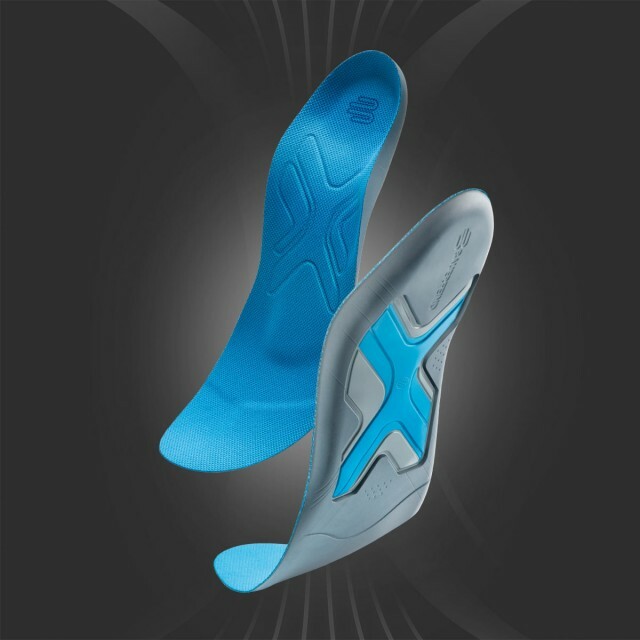 Sensomotoric spots simultaneously stimulate your foot muscles and relieve stress. 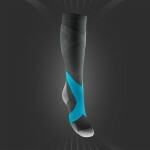 This blocks fatigue symptoms and your throw rate is a direct hit! In basketball, quick changes in direction and landing after rebounds or throws quickly cause overload in joints and ligaments. The result: Ankles become unstable and feet kink. Ligaments often hyperextend during inward or outward lateral twisting. Torn ligaments can be one result. A sports brace like the Sports Ankle Support prevents the upper ankle from making lateral movements and protects you from kinking while on the basketball court.